Majestic Oak trees were scattered across the rolling hills of dry grass around us. The marine layer was burning off and the morning sun was greeting us as we finished breakfast and lounged around camp. 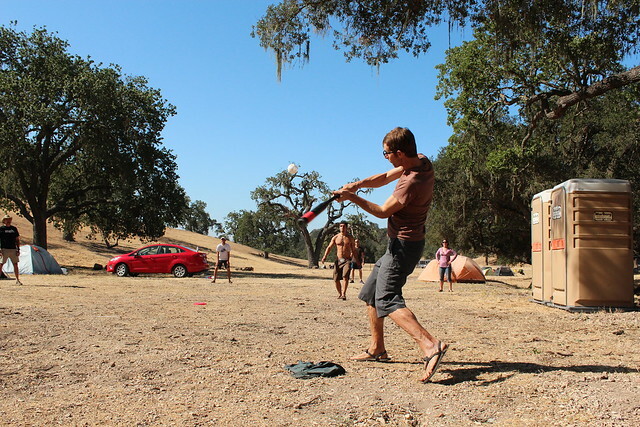 After some frisbee, a game of whiffle ball developed quickly as more people wanted to join the fun. There were no rules or teams, or maybe the rules and teams were made up and changed for each individual at every new moment of the game. 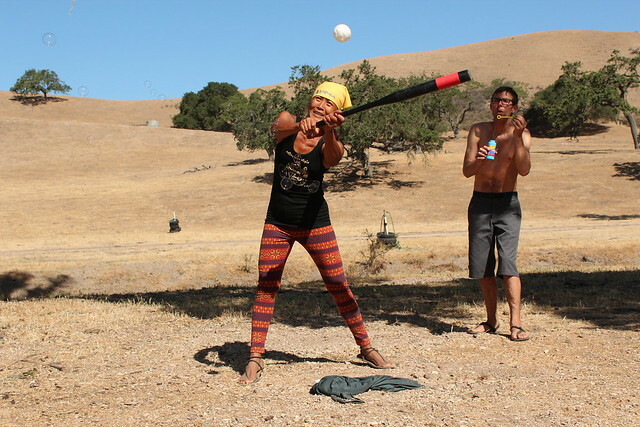 Sometimes first base was at the porta-potties, sometimes there were no bases, sometimes you could throw the ball at someone to get them out, sometimes you could bat 5 times in a row, sometimes it turned into tag, and sometimes you had someone blowing bubbles behind you while you bat. We all were smiling, running around, and deeply engulfed in one of the best sessions of full on child-like play I have been in in a long time. It felt good. The game went on for hours. 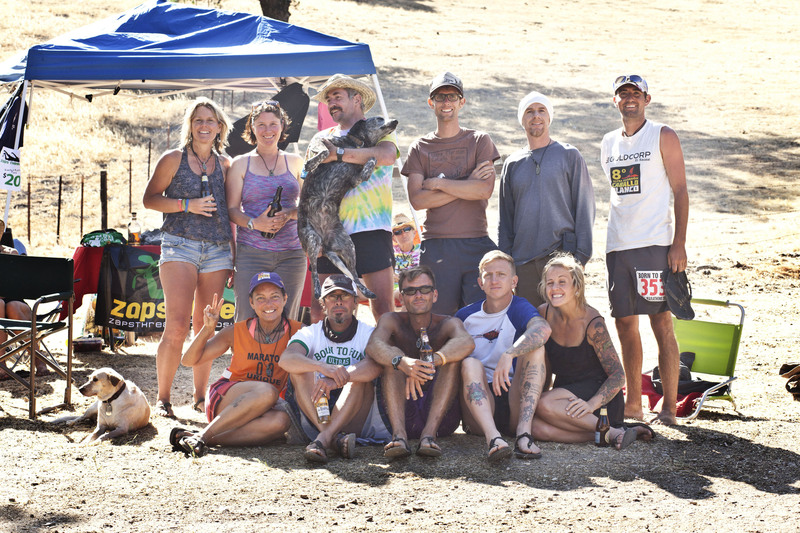 I couldn’t imagine a better way to kick off what was to be an amazing weekend of play, running, partying, and all kinds of shennanigans at the 2013 Born to Run Ultras. The Born to Run Ultras are put on by the one and only Luis Escobar; Mas Loco, ultra-runner, and photographer extrordinaire. 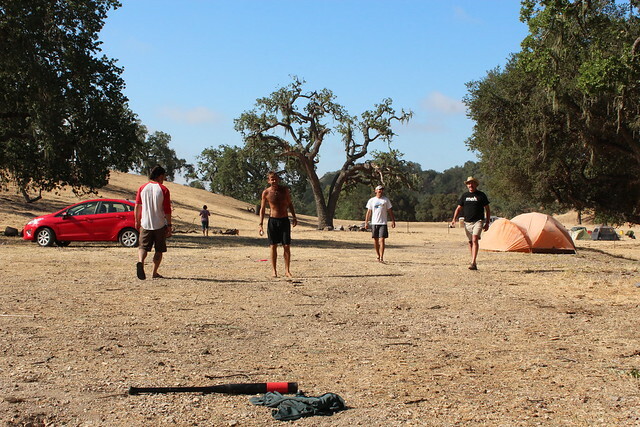 Located in Santa Barbara County, California, the BTR Ultras are among beautiful rolling grassy hills on a 4000 (?) acre private ranch. 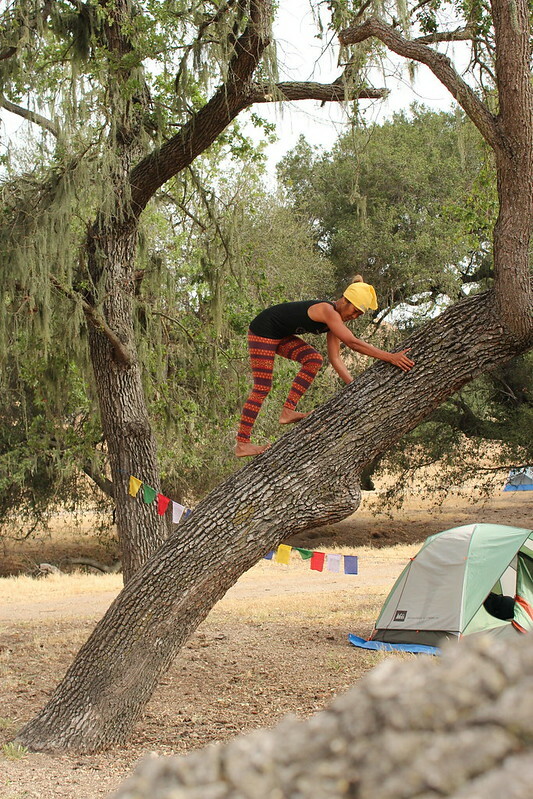 Participants are encouraged to camp on the ranch right at the starting line for the entire weekend of festivities including races of distances of 10 miles, 50k, 100k, and 100 miles. 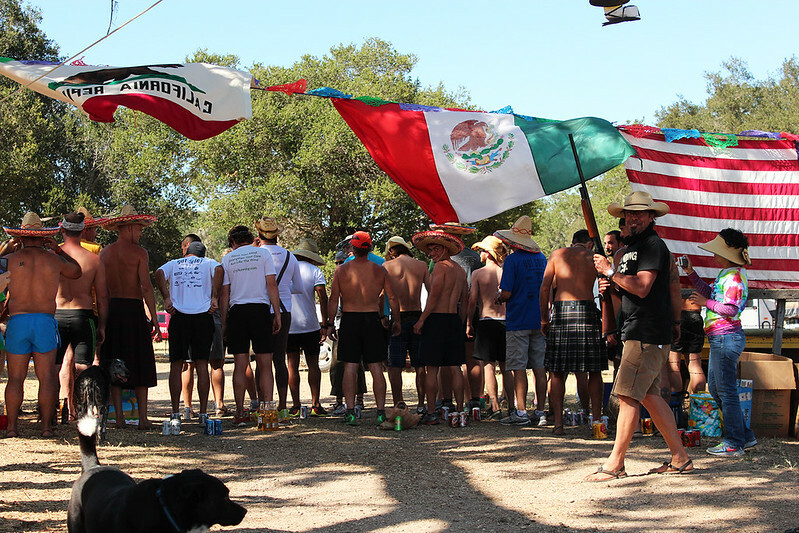 There was also Tarahumara style bola races, an unofficial beer mile, live music, a giant bonfire, blasting mariachi, delicious food, and much more. The course was basically a figure-8 of two different ten mile loops. After each loop every runner would be coming through camp and the start. 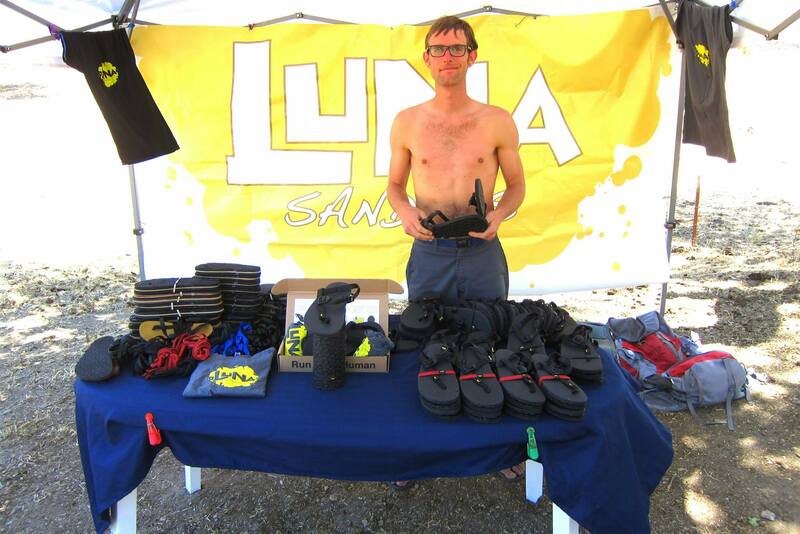 After whiffle ball on friday morning I began setting up the LUNA Sandals booth where I would be selling LUNAs. More and more people were arriving throughout the day. The first (unofficial) event of the day was the Beer Mile at 4pm hosted by Luna-tic, and beer mile champ, Patrick Sweeney. A beer mile consists of running a mile and drinking 4 beers. Drink a beer, run a quarter mile, and repeat until a mile and 4 beers are complete. People were excited for the beer mile. They gathered their beer (or root beer for a few) and lined up at the starting line of the quarter mile out and back as Sweeney explained the rules. Luis started the race with the shotgun. Patrick was first out of the gates. I sat out and took pictures and cheered on the runners. At this point I was noticing there was a lot of people in Lunas. It was really exciting for me to see so many people in them. The beer mile was fun to witness and looked like a blast for the participants unless you were one of the unlucky to puke on the course and have to run an extra quarter mile. Sweeney, of course, came out the winner. 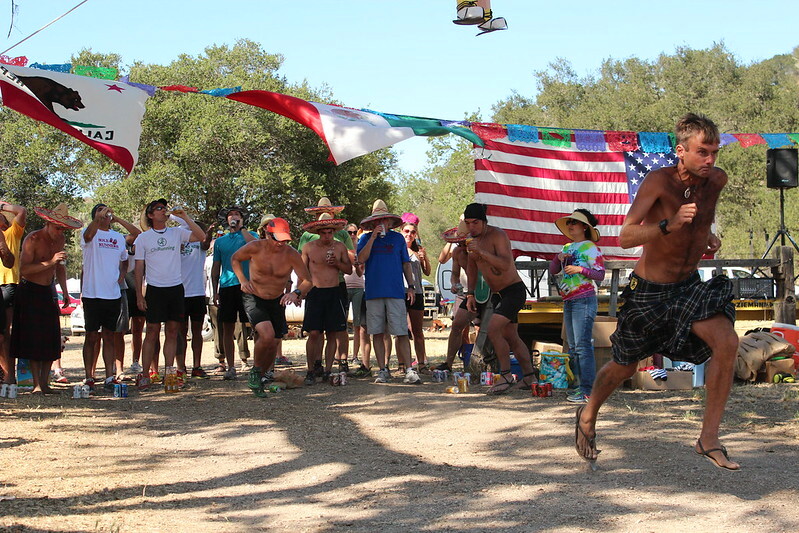 After the beer mile was the Tarahumara style Bola races. Luis brought wooden balls from the Copper Canyons. It would be 10 or so heats of 5 participants racing a quarter mile-ish each kicking a wooden ball. LUNA was donating a pair of sandals to the winner of each heat and all the proceeds (10$ each runner) went directly to Norawas, the non-profit that benefits the Tarahumara. Since LUNA was sponsoring the Bola races I was handing out gift certificates to the winners and starting each heat with the shotgun. For me shooting the shotgun for each heat was just as fun as participating. Mariachi music blarred from the speakers, people raced, and people cheered. It was a great time. Mas Loco LUNAtics! 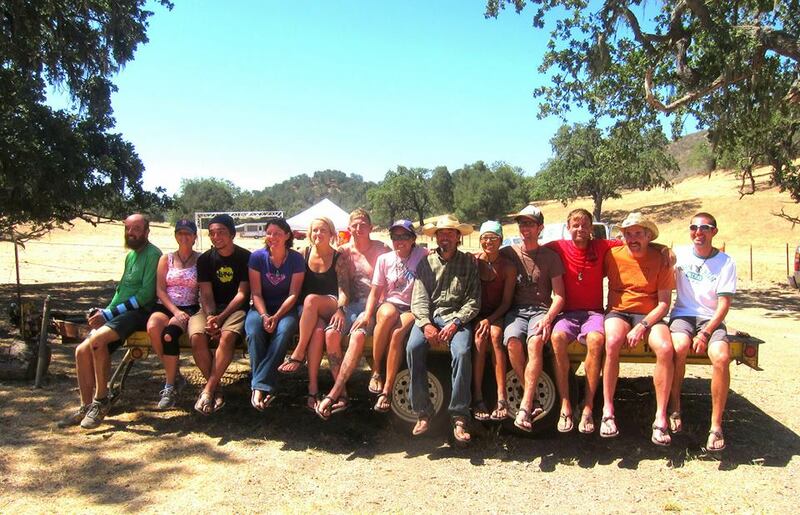 Kelly, Sally, Lola, Mike, me, Patrick M., Caleb, Guadajuko, Maria, Luis, Sweeney, Shawn, Steph. After the Bola Races people hung around the camp and bonfire. A couple live bands played on the stage. People were dancing and hoola-hooping into the night. I manned the LUNA Booth, sold some sandals, and met some great people. The night ended early so that we all could get up early the next morning for the start of the race. At 4:15am our wake up call was 5 shotgun blasts followed by loud Mariachi music filling the dark campground. The race had sold out for a total of 450 people signed up to run that day. People lined up at the start, Luis made some course announcements, and I had the shotgun ready to start the race. 3. 2. 1… Bang! We were off. 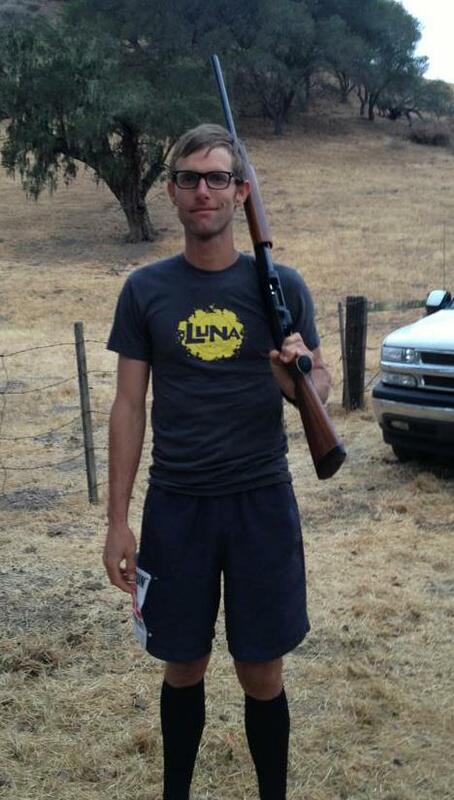 I handed Luis the shotgun, grabbed my water bottle and was off running down the dirt road in the crowd of runners. The course is a mix of dirt roads, two track, and some single track. It is a relatively easy course with about 1100 feet of elevation gain per 10 mile loop and not too technical. It is a very runnable course. I was running the 50k and I was excited to push my limits a bit at that distance. 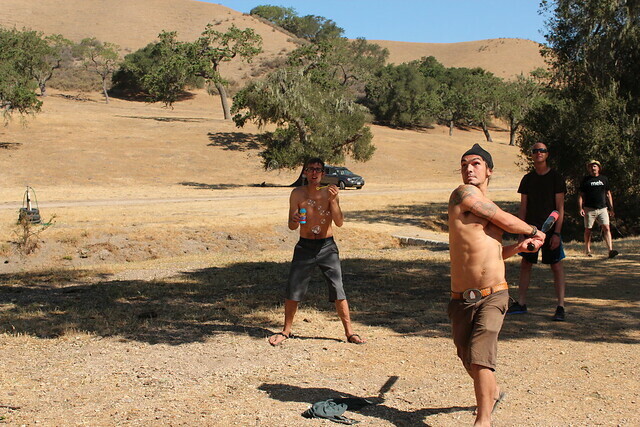 LUNA tribe’s Gregorio, Sweeney, and Tyler killing it. Congrats guys! I ran with so many friends, old and new. The LUNA Tribe was strong and in full force. So many people were wearing LUNAs out there. I felt so honored and special to be part of such a great group of people. As well as the usual suspects of Mas Loco LUNA-tics and others, there was also a lot of LUNA-tics who have been customers and supporters for a long time that I finally got to meet in person. It was exciting. I’m so grateful for all you! The miles flew by as the sun slowly rose above the horizon. The course was beautiful. On the second loop there is an awesome section of single track atop a long ridge with great views all around. I was feeling really good. Towards the end of the second loop my hamstrings started to get a little crampy for whatever reason. I made sure to eat some salt and drink water but my legs stayed crampy off and on throughout the race. But it wasn’t bad and I felt very strong otherwise. By the third loop the sun was getting higher and it was starting to get hot. It probably hit about 90 degrees. In the last 2 or 3 miles there is a big gradual downhill so I let it loose and ran my fastest miles of the race. I came through the start/finish at mile 30 and just had a 1/2 mile out and back to be done. I ran it in and got my amulet finishers necklace made by Hawaiian ultra runner AcaBill. I crossed the finish line in 5 hours and 35 minutes which was my new personal record by a long shot. I was very happy with that. 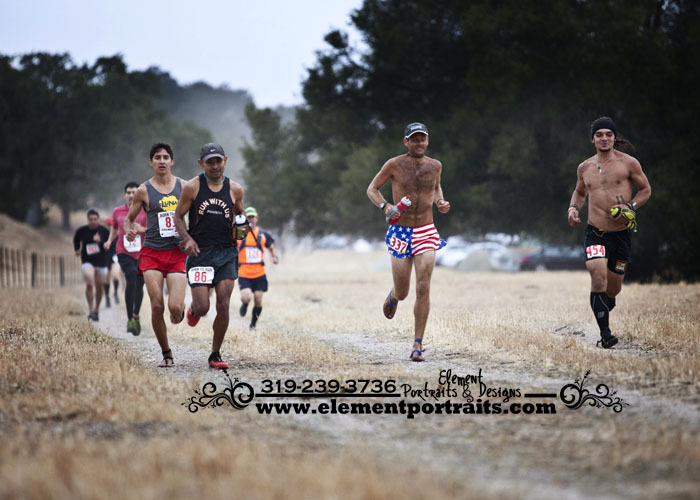 I was finally feeling like I could push my pace at the 50k and 50 mile distances instead of just trying to survive. It felt good to be noticing progress. Greg, Me, Tracy, Bryan, and Sweeney. Post race. I was curious to see how others did and were doing. It turned out that Patrick Sweeney won the 50k again in 3 hours and 49 minutes. Team LUNA runner Gregorio Ponce placed 2nd in the 10 miler in 1 hour even. Congrats guys! That made Pat the triple crown winner; he won the beer mile, his heat of the bola races, and the 50k. We grabbed some food and lounged around cheering on all the runners as they came through. That evening was a fun evening of hanging by the bonfire, watching Anthony shoot the pinata with the shotgun, push up acrobatics, human pyramids, and watching all the runners come through. I really wanted to stay up and watch all the runners come in but got tired and went to sleep. I was bummed I missed Tyler coming into the finish for his first 100 mile finish in 23 and half hours! Congrats Tyler, you’re a beast. 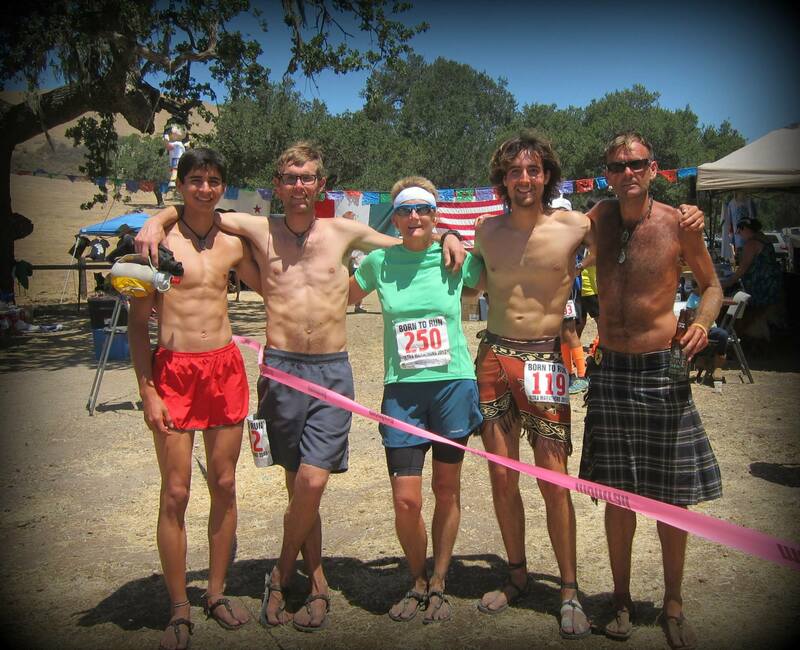 James Bonnet ended up winning the 100 miler in 15 hours and some change and took home the surf board prize. Congrats to Jess on the 100k and to Dawn Marie on her first ultra. Congrats to Jim on his first 100 miler and so many others that ran strong and had fun. LUNA tribe. I love you guys. What really makes this event special is the great community of people involved. I came away from the weekend feeling like I had just participated in something very special and unique. The feeling and vibe at the event really only reminds me of the vibe of one other event I’ve been a part of and that is the Caballo Blanco Ultramarathon. It is hard to describe the vibe of these two events. I’m not going to try anymore here. Go do them, you won’t regret it. Thank you everyone involved!!! Thanks to all the LUNAtics out there for your support. Thanks to Sweeney for driving and letting me stay at your house. Thanks to all the volunteers and wonderful people cooking those delicious burritos. Congratulations Luis on putting on such an amazing event! I will definitely be back next year!